Love 'em or hate 'em, it looks as if Glasvegas aren't going anywhere. In a new interview, the epically melodramatic Scots confirmed that they are set to start work on their follow-up to last year's hugely successful self-titled debut, and that they'll be doing so in Los Angeles this winter. While speaking to NME, front-man James Allan said he was moving to L.A. permanently and would be building a home studio to begin work on the band's sophomore effort with producer Rich Costey (who also produced the group's debut). "I've got to set up the equipment in the house," Allan said. "I don't like the idea of going into a studio and spending one block of time there. I've got a good bond with Rich, I believe he's got more in him than the first record." He added that fans can expect the new songs "Sonic Silence," "Whatever Hurts You Through the Night" and "Born to Die" to make an appearance on the as-yet-untitled record, which apparently will be a pretty optimistic one. "[For the first album] I left myself in a position of being stuck with a grey cloud hanging over me," Allan said. "I wanted to escape it; I like to think that a lot of my thoughts and optimism are going towards being liberated." 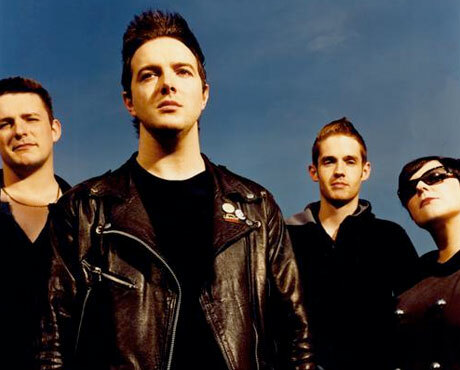 As of yet, Glasvegas have not revealed when we can expect the new record. Glasvegas "Please Come Back Home"